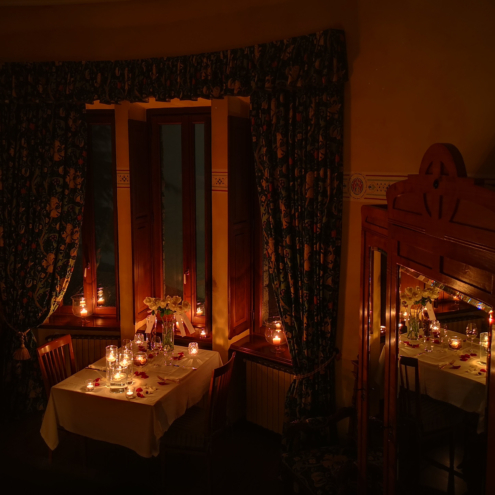 Nestled in the village of Sacro Monte, which dates back to the 400s and has been recognised as a UNESCO World Heritage Site, Al Borducan is a small and elegant four-star hotel. 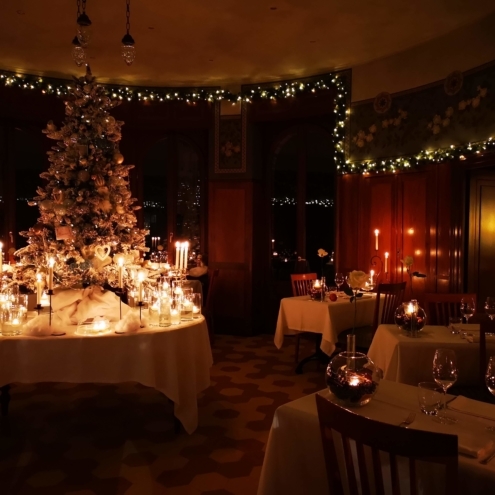 All ten rooms are furnished with the original antique furniture from the Bregonzio family. 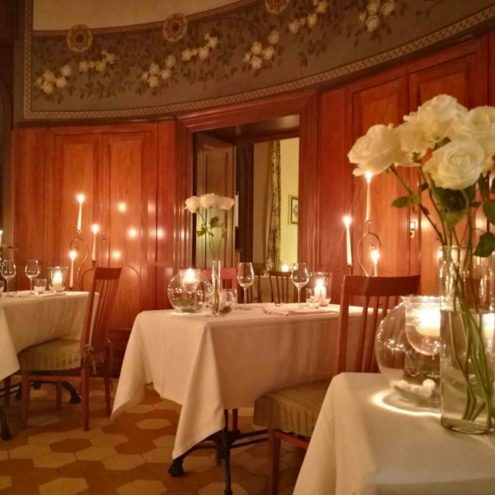 The hotel's name is derived from the “Elixir Al Borducan” -- an infusion of herbs and oranges, invented by Davide Bregonzio in 1872 -- while the Art Nouveau building dates back to 1924 when the Bregonzio family built it in order to continue producing the Elixir. 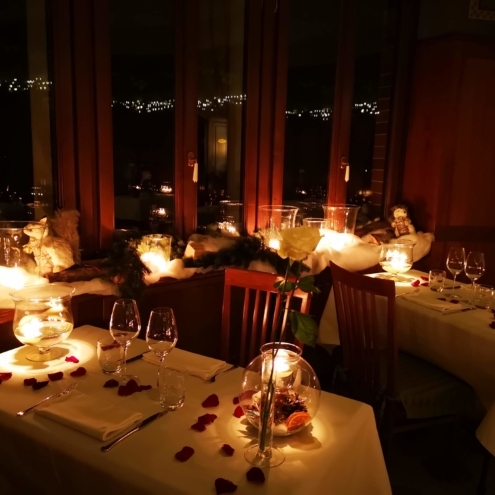 The hotel restaurant consists of an exquisite round hall decorated with frescoes, a terrace with a panoramic view of the lakes as well as the massif of Campo dei Fiori, and a private garden. 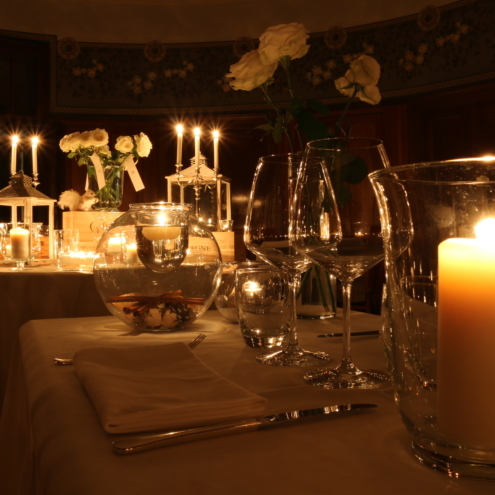 A private hall with fireplace also offers the option of hosting small celebrations of up to 80 guests, private parties, themed evenings or business lunches.